The other night I told my daughter that her screen time was over and she had to get ready for bed soon. Two minutes later, she was still laying on the couch staring at her tablet… and I lost it. I yelled at her, grabbing the tablet out of her hands. And she burst into tears. That sobbing, can’t-catch-your-breath kind of crying – not because I was taking away screen time, but because I raised my voice at her… which broke my heart. Did I scream because she didn’t put her tablet down when I asked, or because I gave her way more screen time than I should have so I could have some time to myself, and deep down I felt guilty about that and yelling was my way of venting? I just can’t get this parenting thing right, I thought to myself, tears welling up in my eyes, as I hugged her and apologized for yelling. When I was tucking her in to bed and giving her a goodnight kiss just minutes later, after we had both calmed down, she sat up and gave me a big hug, telling me, “I love you… you’re the best mommy EVER!”, which erased all my doubts. If she can forgive me, I should be able to do the same. I’ve realized that while I may be a perfectionist, I will never be perfect. I will mess up. I’ll yell. I’ll forget things. And I’ll stress over it. But I’ve learned that I must forgive myself and move on. I’ve learned that it’s okay to ask for help. I’ve learned that worrying and self-doubt are signs of being a good parent. It means I care. Even if our house is a little messy most of the time, my daughters are happy. My dog still loves me even if I leave her home alone for a few hours. Believe it or not, parents are doing better than they think! The demands and pressures of everyday life are very high, which make us feel like we can’t be the mom or dad we want to be. But the truth is, most of us are doing much better than we think. Moms, this Mother’s Day – and every day – take some time to celebrate how awesome you are! And if you see someone else who’s “doin’ good,” tell them! A compliment and a smile goes a long way. It only takes a minute to tell parents they’re #doingood. 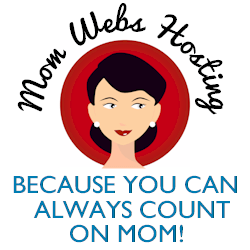 Do you know of a mom who’s doing a great job but may not realize it? In a comment below, tell me about someone you know who is doing a better job as a parent than he/she might think. With your comment, you’ll be entered into a drawing for a chance to win an awesome Minute Maid prize pack, which includes a $50 Visa gift card. Use the gift card to continue “Doin’ Good” with your kids or give it to that special someone you think could use it to keep Doin Good with their family! My friend is raising her two sons by herself and is doing a wonderful job. My sister is doing good, she doubts herself as a mom sometimes, but with two kids and doing it all on her own, plus volunteering, working outside the home, being a trainer, and going to school she does great. She can juggle a million things and be good at it all. She is fantastic as a mom!! I have a cousin who is a single parent. She’s a great mom but still tends to doubt herself too much. My sister is doing a terrific job in raising my niece and nephew! My nephew who is only 2 years old has a brain tumor, and she it taking him to get chemotherapy, and she is so loving and gentle with him! She is making sure that her daughter is happy and taken care of during this difficult time. She does not ask for any help, but I help her when I can! She is such an inspiration! My cousin is a single mom. She is doing a great job with her son. My mom is doing a better job than she thinks. She is raising 2 step kids in addition to her real kids. My friend Victoria who is raising her grandsons and is also taking care of a friends 3 kids full time. As a single parent, my sister-in-law is doing an excellent job raising her kids. My friend is an ICU nurse and mother of toddler twins and she’s doing an amazing job. My youngest daughter is a brand new mom and doing great. She was worried but she is protective, nurturing and loving. My daughter is doing an excellent job as a mother to my two grandsons. They are very close in age and can be a handful, but she shows them lots of love and patience. My neighbor with three young kids is doing better as a parent than she thinks. i have a friend who is a single mom to 6 kids! My daughter is fantastic Mom. She’s doing a great job raining my Grandsons. I love them so much! My mom is doing a great job of raising my nephews. My friend from college, Kim is doing a good job with her daughter. She works difficult hours at work, but still spends quality time with her daughter and teaches her good values. my co-worker works 2 jobs and is a single mother. My friend is doing better than we all thought. She has overcome many things in her life and is doing a fantastic job. My neighbor has 2 children under 4 years old and one on the way. I see how well she is doing but I don’t think she gives herself enough credit for being such a good mom. My Sister Is Doing A Wonderful Job As A Single Mom. She Works So Hard To Provide For Her Kids She Never Gives Herself Enough Credit. My niece is a single mom of 3 who works and takes care of her kids and I think that in spite of her situation, she’s #doingood and being an amazing Mother and providing the best she can yet I don’t know if she realizes it. My mom always thinks she isn’t doing good as a parent because she is not able to help financially. She has taught me an amazing work ethic and that is far more valuable to me. My sister raised her boys to adulthood as a single parent and did a darn good job of it. Now she is helping one of them raise his daughter and doing a great job! Oh I would say my sister. Her son has low functioning autism. She was told he would never talk or eat. He is now 13 and talks…only eats 1 thing so he still needs a feeding tube, but has come so far. She never gave up ….and has so much patience. My best friend is doing an awesome job of raising her two kids. My mom has had to take on a lot of responsibility for my little niece and is doing great even if she doubts. My brother is doing a way better job as a parent then he thinks.